1. He has licensed skills. Don’t settle for just any Joe Money. Learn more about CFP requirements and make sure your advocate measures up. 2. He has a good reputation. 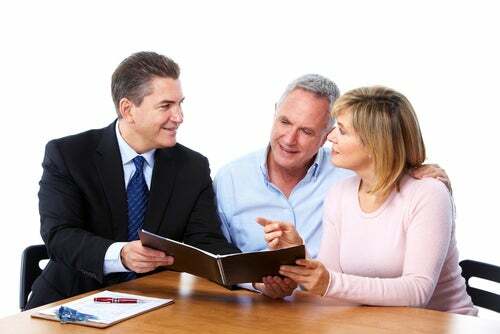 Word-of-mouth is a valuable resource when searching for a financial planner. How satisfied are his current clients? Does he listen to their concerns and offer solutions? Talk to your friends and colleagues about their experiences with financial planning and ask for a professional recommendation. Once you’ve narrowed the candidate pool, do some research surrounding their backgrounds, career longevity, etc. (Note: use this site). Knowing the facts will help you make the right decision. 3. He presents a clear strategy. Every investment client should take a risk tolerance test: a list of questions that will help them decide which products to choose for their portfolio. For example, if 22-year-old Kevin wants to save for retirement, he probably wouldn’t invest the bulk of his cash in aggressive, small cap mutual funds since he has several decades to grow his money. After learning your risk tolerance score, a good FP will present you with a clear strategy for the year, allowing you to set goals that match your comfort level and investment time frame. A silent FP is a bad FP. He should check in regularly to notify you of any portfolio shifts, windfalls or (unfortunately) losses. He should also ask about any changes in your life that may affect the way you invest. For example, if you recently received a 10 percent pay increase, your FP should be the first to know. Look for someone who is responsive and genuinely interested in keeping you informed. 5. He doesn’t push you. FPs cannot legally advise you to buy specific financial products. If your current guy calls and says, “It’s time to put $10,000 into Tesla,” you’ve got a problem. Regardless of whether his advice is good, pointed recommendations could imply unsavory motives, e.g., corporate kickbacks, free trips, cash bonuses, etc. The bottom line: It’s not your job to bankroll anyone else’s interests. Find a planner who presents you with a range of investments that align with your risk tolerance. The result will help you maintain a well-balanced (and unbiased) portfolio. This entry was posted in Life Events and tagged finance. Bookmark the permalink.